Known as the capital of Lake Balaton, the city's population of 25 000 grows nearly fivefold every summer. 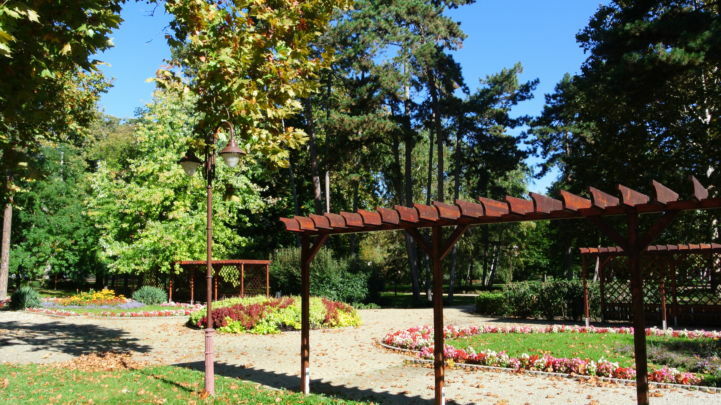 The 17 kilometers long shore of Siófok is full of life every summer, the promenades, parks and beaches are populated with tourists. 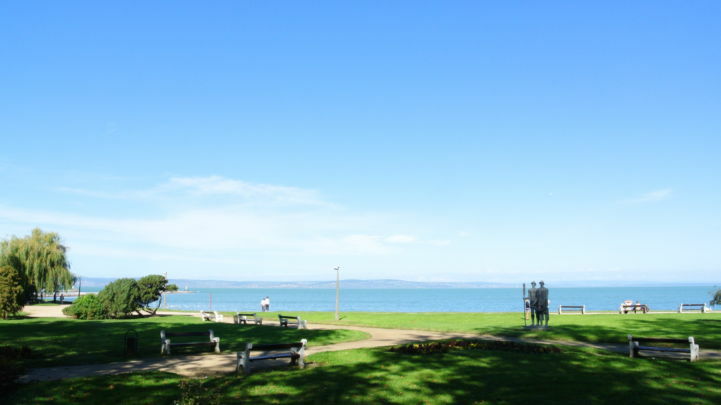 The sandy beaches with gradually deepening waters, typical of Southern Balaton, are ideal for families with children, while the clubs, bars and the Beach Club always guarantees fun times for younger and older people. The shore of Siófok is has two parts with the Sió Channel running between them: the western side is known as the Silver Beach while the eastern is called the Golden Beach. Most of the hotels, the entertainment center, the Petőfi Promenade and the Main Beach with the Beach Club is located on the Golden Beach. The Silver Beach is mainly known for the smaller, cosier pensions and guest houses and the public beach occupies its whole shoreline. 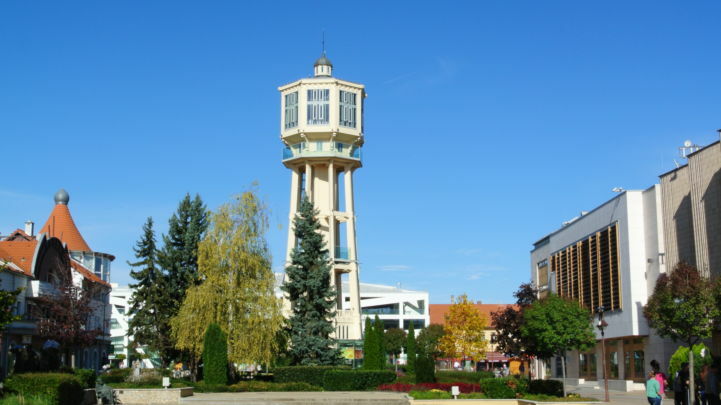 If we are in Siófok, visiting the recently renovated Water Tower is must: it offers a breathtaking panorama of the city and the nearby hills. 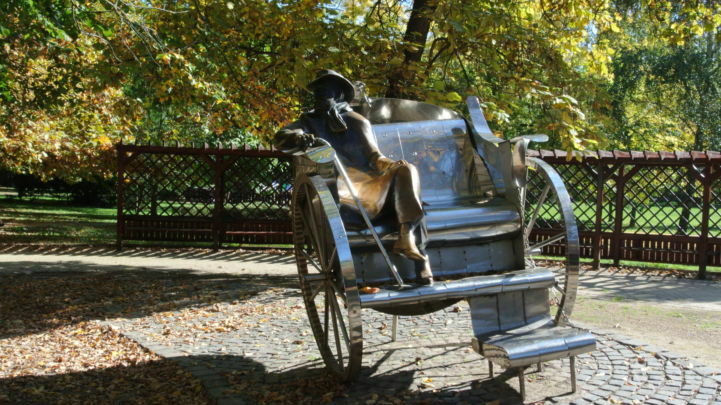 Walking on the streets, we can see many public sculptures, most of them the work of the Siófok-born artist Imre Varga. The more active tourists can enjoy swimming even at night, try paintball, lasertag, wakeboard, water ski, and of course there is no better way to explore than by bike. Siófok and the Balaton provides relaxation and sports options not only in the summer season, as during the winter when the ice is at least 10 cm thick on the lake, the winter sports season begins. This is the time of ice yachting, sledding, ice hockey and ice skating. Water Tower A symbol of Siófok, the more than 40 meters tall tower was built in 1912 and it can be accessed with two panorama elevators. The three levels of the water tank has a spectacular 360° panorama, a bar where we can try breathing 95% oxygen, and also special panorama provided by a rotating floor. Statues of Imre Varga in Siófok The Siófok-born Imre Varga is one of the most well known artist of public sculpture in Hungary. 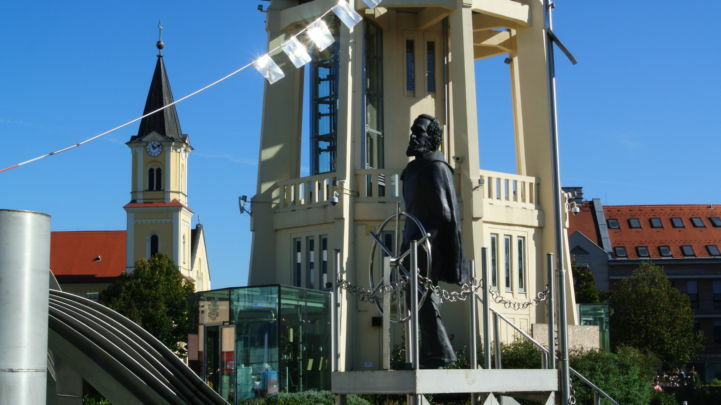 Since 1990, his hometown is more and more becoming a gallery of his work as we can see almost 20 statues of Varga's in Siófok. Millennium Park Located in the heart of the city, the 16 000 m² large park is decorated with many statues, memorials and fountains. Standing in the music pavilion is the bronze statue of Emmerich Kálmán made by Imre Varga, and also in the park is the group of statues called "Martyrs" by the same artist. Villa Krúdy Located only a 100 meters from the Balaton, the two buildings from the end of the 19th century function as a restaurant and a boarding house. In 1915, the Hungarian writer Gyula Krúdy stayed here and he met his second wife during this time. Villa Thanhoffer (Horthy) The elegant villa was built by physician Dr. Lajos Thanhoffer at the end of the 19th century. For a few months in 1919, the building served as the headquarters of Miklós Horthy, in the beginning of the 2000's it housed the library of the Kodolányi János University, and today it is a boarding house. Villa Jókai The Romanticist villa built in 1897 is where writer Mór Jókai spent the last summer of his life, hence the naming of the building and the nearby park. The villa was fully renovated in 2011 and today houses the Hotel Villa Jókai. Töreki Lakes Study Trail This 9 km long nature trail leads through the Töreki nature conservation area and by walking through we can learn about the Cinege Stream and see the system of 10 lakes and the home of a large colony of sand martins and European bee-eaters. Jókai Park The 4,6 hectares large English garden welcomes its visitors with a sea of colorful flowers, many species of trees and shrubs, and a small Japanese garden with a lake and waterfall. 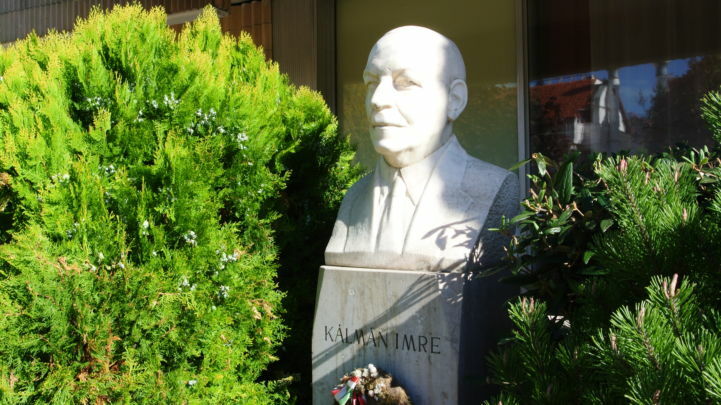 At one of the entrances is a statue by Imre Varga depicting Gyula Krúdy. Kövecses Mineral Collection The museum of collector Lajos Kövecses-Varga was opened in 1986 and since it became the largest exhibition of minerals of the Carpathian Basin in Hungary. The collection of more than 3500 represents only a fragment of Kövecses' whole collection. Emmerich Kálmán Museum The birth house of the famous composer functions as a museum where visitors can see many of his personal belongings such as his piano and sheet music. Walking through the rooms we can even hear excerpts from his immortal operettas. Storm Warning Observatory The storm warning observatory resembling a UFO was designed by Péter Molnár and built in 1956. The observatory is the first in line to foreshadow a storm on the Balaton so it is safe to say that its operation is crucial. St. Cletus Church The church, built in late Baroque style at the beginning of the 19th century, was dedicated to St. Cletus who was also the namesake of this district of Siófok. In the garden, there is a calvary built in 1855 and a statue of Imre Varga. Evangelical church The church, designed by the famous Imre Makovecz is one of the signature sights of Siófok. The building with a unique shape was built mostly from wood and it has four separate entrances. Holy Cross Church The modern Roman Catholic Church was built in 1998. On its wall, there is a relief which is a memorial for the victims of traffic accidents at the nearby crossing. Our Lady of the Visitation Church The Neo-Romanesque church built in the beginning of the 20th century houses the largest organ around Lake Balaton with 2432 pipes. Other sights: Church of Saint Lawrence, St. Peter and Paul Church, Reformed Church, Újhelyi Beach, Gamásza Beach, Saint Anna Church at Balatonszéplak, Balatonkiliti Reformed Church, Stephen I Chapel, building of the train station, Radio Museum Jordán Gallery, Szilfa Gallery, Levy Gallery, Rose Garden, building of the Granarium (former granary), Sió and the Sió lock. Bamboo Sziget Wakeboard and Water Ski Center Located on the southern bank of the Balaton, this octagonal water sports track offers water skiing for beginners and pros, wakeboard, wakesskate, kneeboard for anyone, and of course there are plenty of options for relaxing as well. Full Extreme Sports Park In the park we can challenge our friends or family to a game of paintball or lasertag, but we can also try indoor climbing or one of the three giant Bigfoot vehicles. It is advised to call the park prior to visiting. Galerius Spa Bath and Wellness Centre The spa bath has 6 pools from which 2 are thermal pools with waters from Nagyberény, a village 15 kilometers from Balaton. There are also 2 slides, a salt cave and saunas. Siófok-Balatonszabadi Public Beach Near the Siófok-Balatonszabadi-Sóstó train station we can visit a smaller, 100 meters long beach. The shallow water makes it an ideal choice for families with children though there is still need for caution ad the road is not separated from the beach. Aranypart Beach The Aranypart is the longest beach in Siófok with safe and shallow waters for children, a wakeboard and water ski center for active tourists, and also calmer parts for relaxing. Main Beach One of the most popular beaches of Hungary is the Main Beach in Siófok which is transformed into the Beach Club every summer. The beach can welcome 13 500 people and in 2014 it won the Blue Wave Flag award for the best beaches at the Balaton the 11th time. The area of the city has already been populated during the time of the Romans, the road from Sopiane (Pécs) to Arrabona (Győr) led through here. 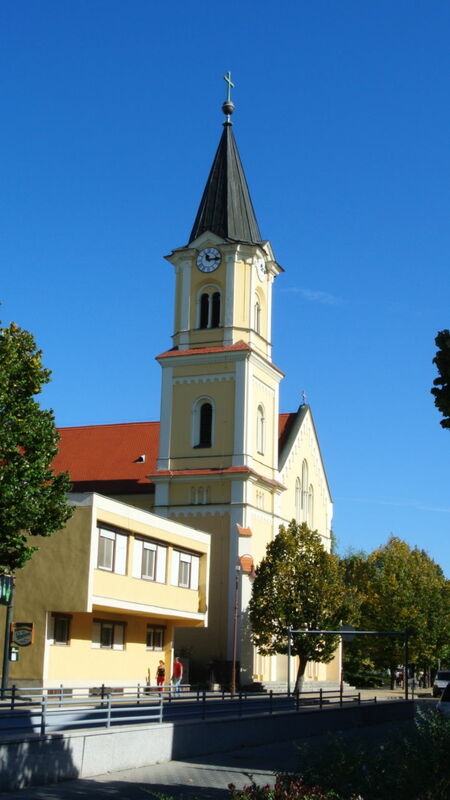 Historical sources first mention the settlement in the founding document of the Tihany Abbey from 1055 where it is referred to as the village where the Sió Channel (called Fuk in the text) flows. The village, also known by the time as Fuk, was mentioned regarding taxes in a document from 1137. The oldest surviving printed map of Hungary, the Tabula Hunagriae (1528) also depicts Siófok under the name Fok. The current name is first used in the sources in 1790. In 1552, the Ottoman armies occupied Fok and its neighboring areas. The settlement became a military port and the armies built a fortress on the hill near to the spot of today's hospital. After being reconquered and freed in 1688, it became a property of the Veszprém chapter who populated Siófok with settlers. 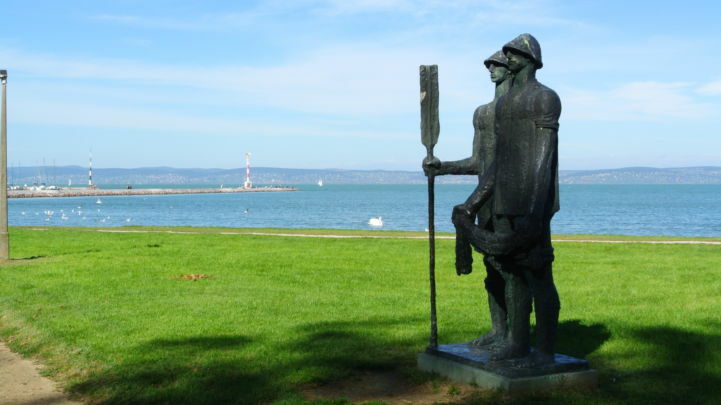 In 1705, Francis II Rákóczi donated a seal to the settlement, an act which is commemorated by a statue by Varga Imre made 300 years later. At the beginning of the 19th century, Siófok was just a small fishing village but its reputation quickly changed with the establishment of the Balaton Steamboat Company in 1846. The railway line between Buda and Nagykanizsa was opened in 1861 which further boosted the number of visitors arriving in Siófok and the town began to develop. In 1863 the Sió Lock was finished, the Sió Channel was dug and a port was built. Two years later there was regular steamboat traffic between Siófok and Balatonfüred. In 1866, Ignác Végh bought a 12 years of bathing rights from the Veszprém chapter which was later prolonged by an additional 12 years. The bathing house called the "Hungarian Sea" was opened in 1878 in a richly decorated, lakeside building which has 80 bathing cabins and could admit more than 100 people. 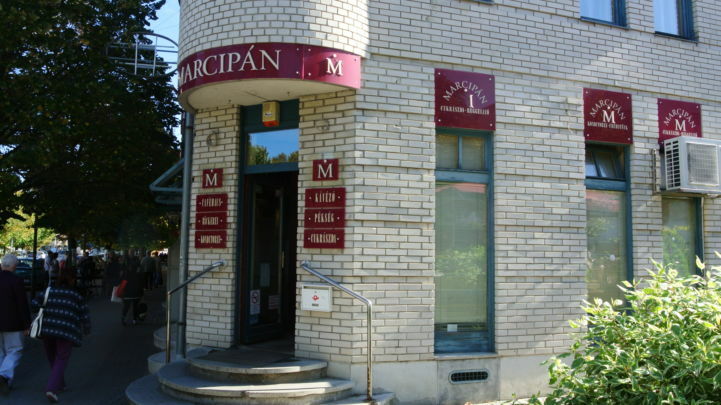 The Veszprém chapter started parceling the land in 1885 after which today's bathing infrastructure started developing. Around the turn-of-the-century. many large hotels were built, such as the Sió, the Hullám (Wave) and the Központi Szálló (Hotel Central). The train station was built in 1904 and today we can see its building in its full, renovated glory. 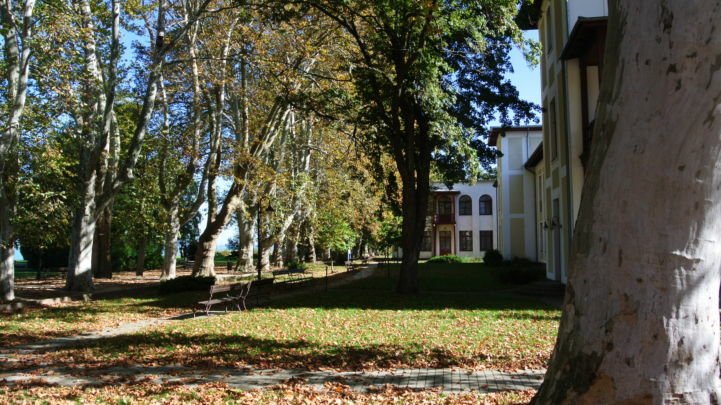 During August 1919, Siófok acquired an importance in politics as Miklós Horthy, who was planning to defeat the Hungarian Soviet Union, established his headquarters in the Villa Thanhoffer (Horthy). Siófok was becoming more and more popular as a holiday destination, and by 1937 there were 32 hotels and guest houses awaiting tourists and more than 400 000 people from abroad visited the city every year. Near the end of World War II, the battles took places in the city for two months and many buildings, summer houses and hotels were damaged but they were quickly repaired afterwards. The area of the city increased significantly during the second half of the 20th century as the neighboring Balatonkiliti, Balatonújhely, Balatonszéplak and Balatonszabadi was joined to Siófok. 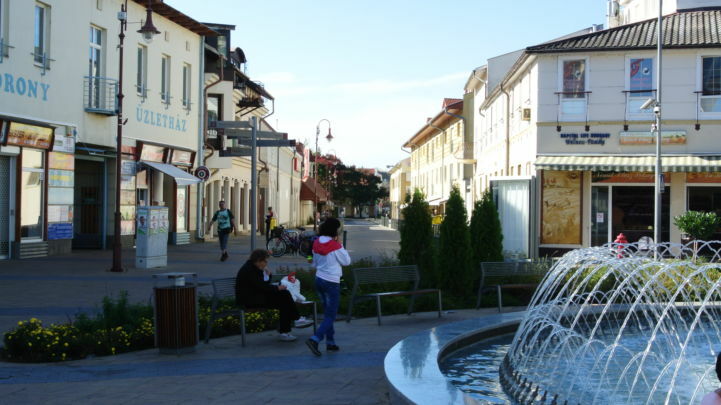 Siófok, called the capital of Lake Balaton, acquired city status in 1996.